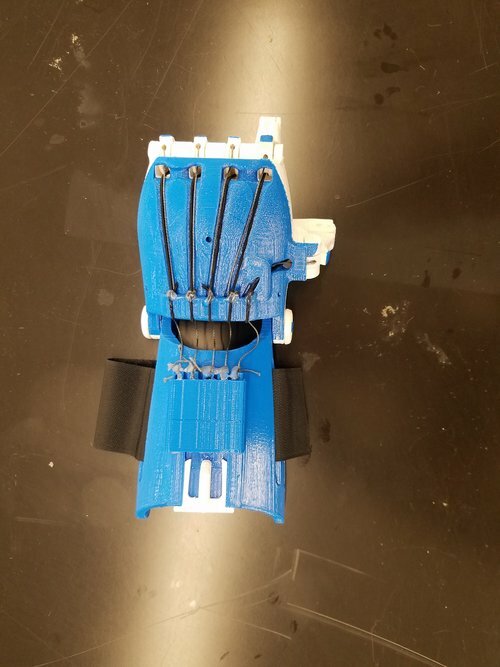 Low cost hand orthotic designed for children being treated for cerebral palsy at NYU Langone Orthopedic Hospital and fabricated at NYU MakerSpace. Insurance companies often won't pay for assistive devices, such as prosthetics and orthotics, for children. A growing child would need the device to be replaced more frequently than an adult and this added cost means most patients get their first prosthetic or orthotic in their early twenties. This practice robs the patient of both the physical and neurological benefits these assistive devices. 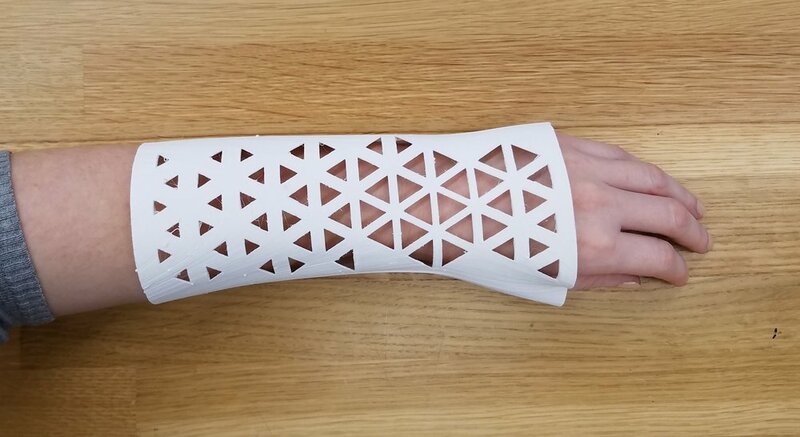 Making orthotics on 3D printers, rather than using expensive splinting material and specialty parts, can dramatically reduce the cost of the device. We have utilized consumer grade 3D scanners and printers to create custom hand orthotics for children. My role evolved along with the project. During the initial phase I was the Design Lead, which involved collaborating with doctors, therapists, and patients to create a functional orthotic, as well as managing student researchers. This project was eventually turned into a Vertically Integrated Project (VIP) course which is still offered at NYU. I lead the course for its first two semesters. We began our research by investigating the methods currently used by occupational therapists to make these types of orthotics. 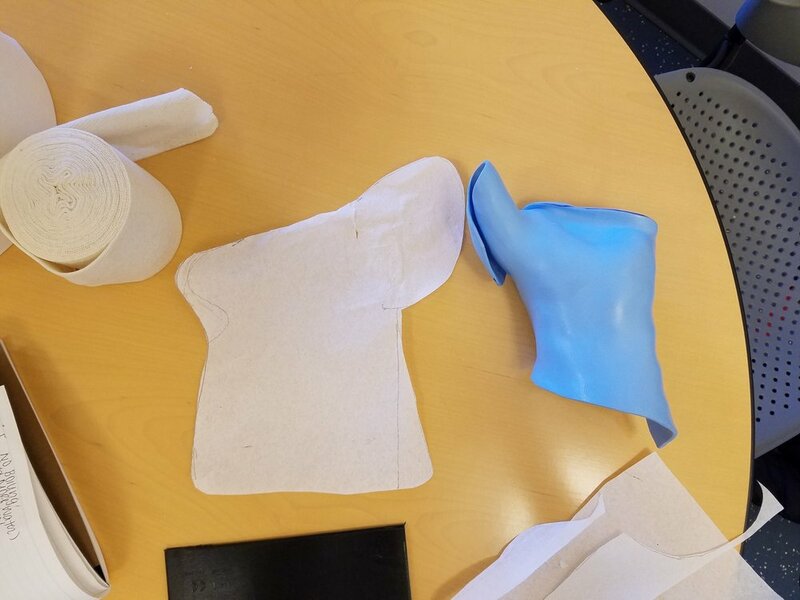 We took a splinting class to learn traditional fabrication techniques and the different types of thermoform plastics available. With this knowledge I experimented with modeling and printing flat patterns in PLA and forming them to my hand with the same hot-water techniques being used by therapists. 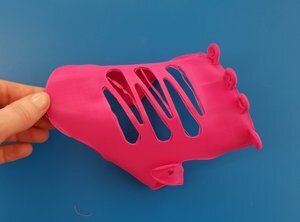 We surveyed the 3D printable orthotics currently available and tested their viability by modifying them for specific patients. While none of the existing models met our needs, we gained valuable information about design and assembly. 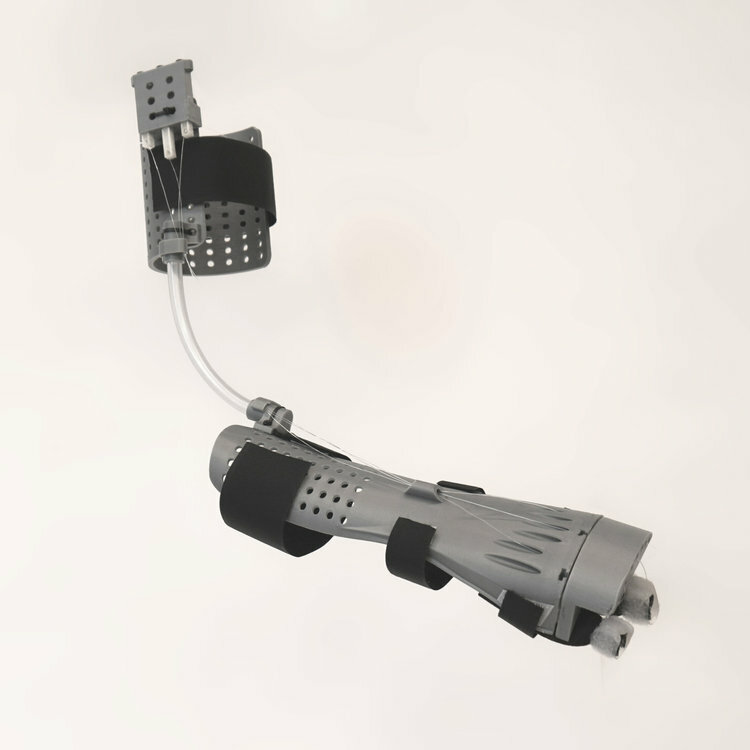 The mechanics of the Airy Arm design became the foundation for your orthotic. 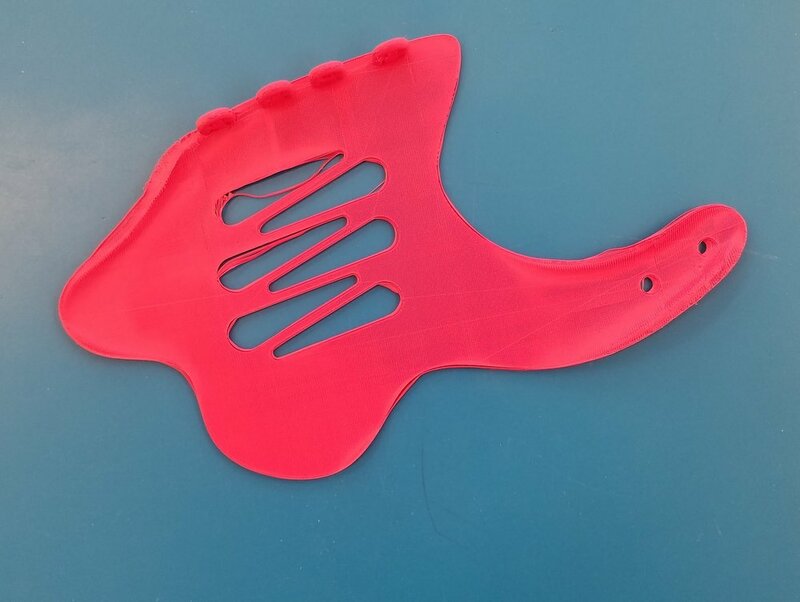 We quickly realized the thermoforming step, which we had adopted in order to make the Airy Arm, was not a feasible solution for forming the orthotic. Both the cuff and the forearm were printed flat, heated in water, and formed on the patient. 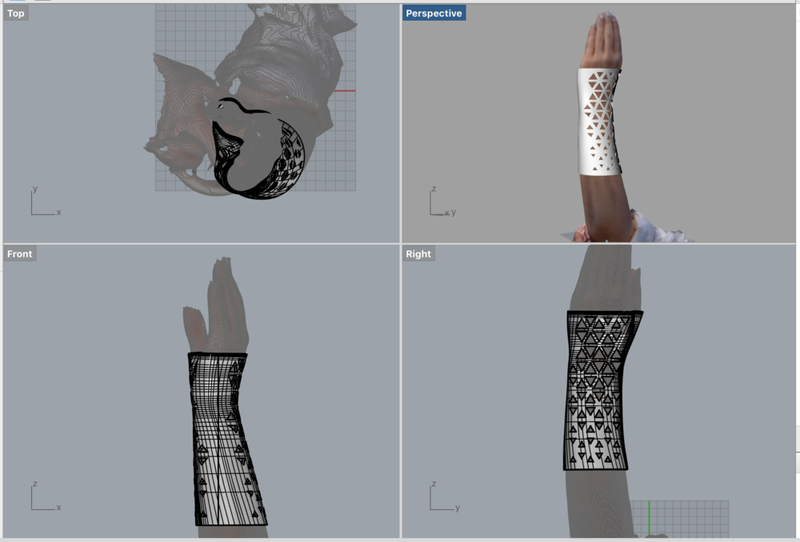 The cuff was redesigned and printed to the dimensions of the patients upper arm. The forearm, however, was much more complex and difficult to model with measurements alone. We decided to work from a scan of the patient’s forearm in order to save time and ensure the orthotic fit perfectly. 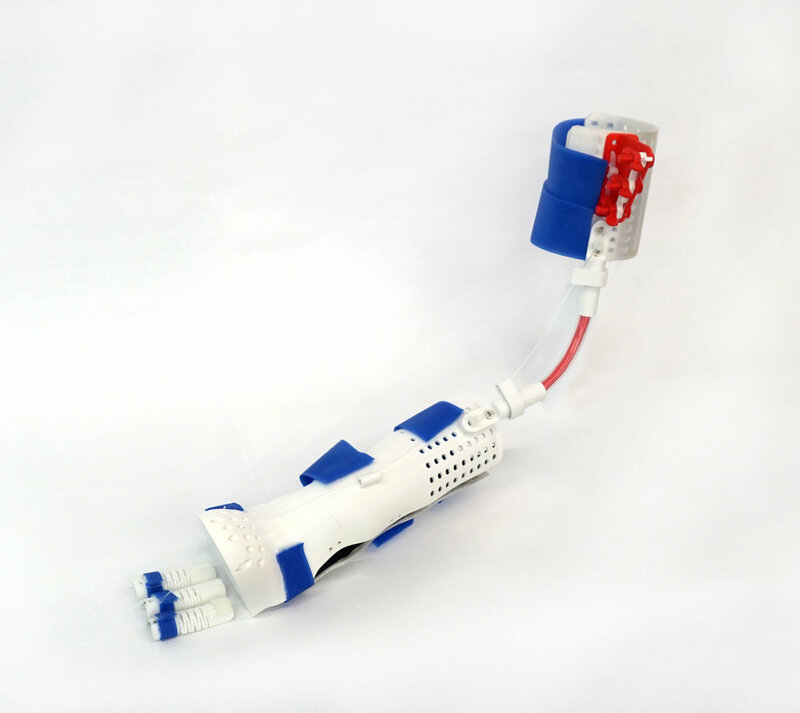 We were able to design and fabricate a reliable, functioning brace that is currently being used in clinical trials. It is modular and extremely customizable. The brace also utilizes ready made parts such as zip-ties and vinyl tubing in order to keep cost and weight as low as possible. 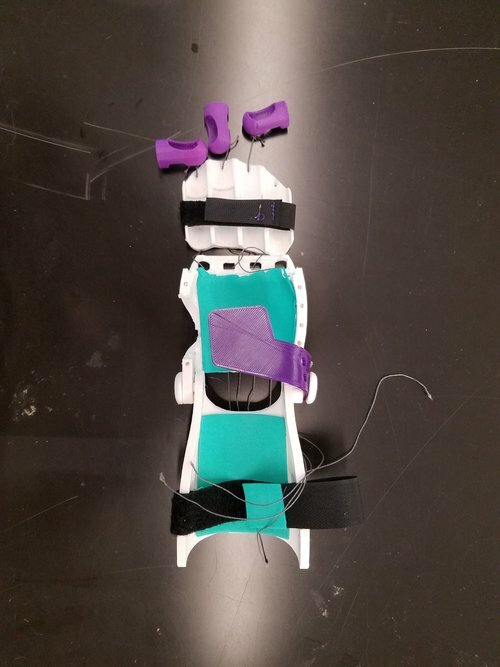 This brace design is currently being testing in clinical trials at Langone Orthopedic Hospital and continues to be improved upon by NYU students and researchers.